1. 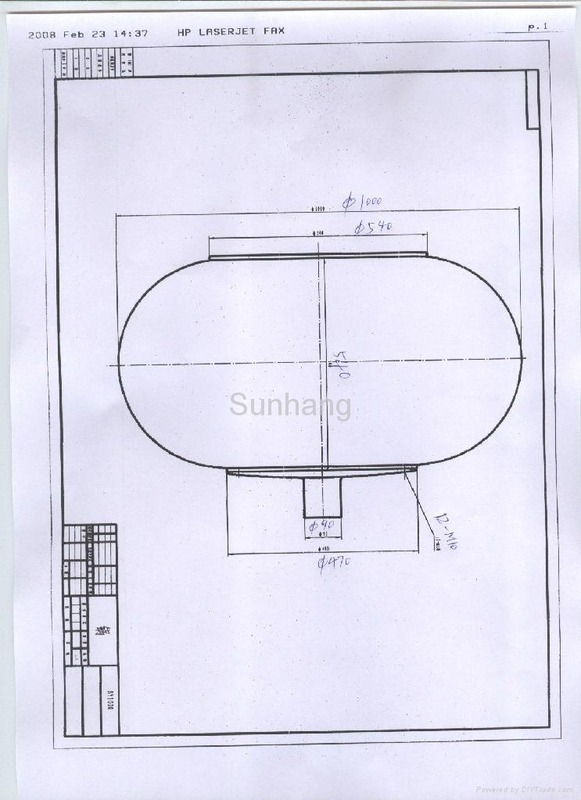 The ambient temperature of coating should be between 15-18º C, the relative humidity 45~55%, which will make the core more hard, and the oil of core will not dialysis to the surface. 2. Chocolate paste should be insulation, maintain the temperature between 35~38º C and do not need to regulate the temperature. 3. 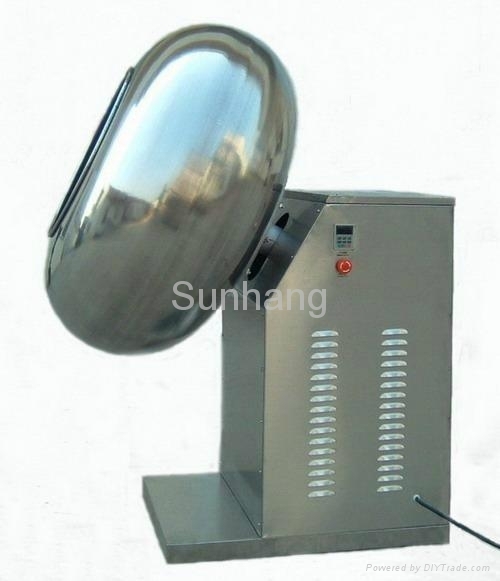 The rotary speed of coating pan should be between 24~30rpm, the speed should not too fast. 5. 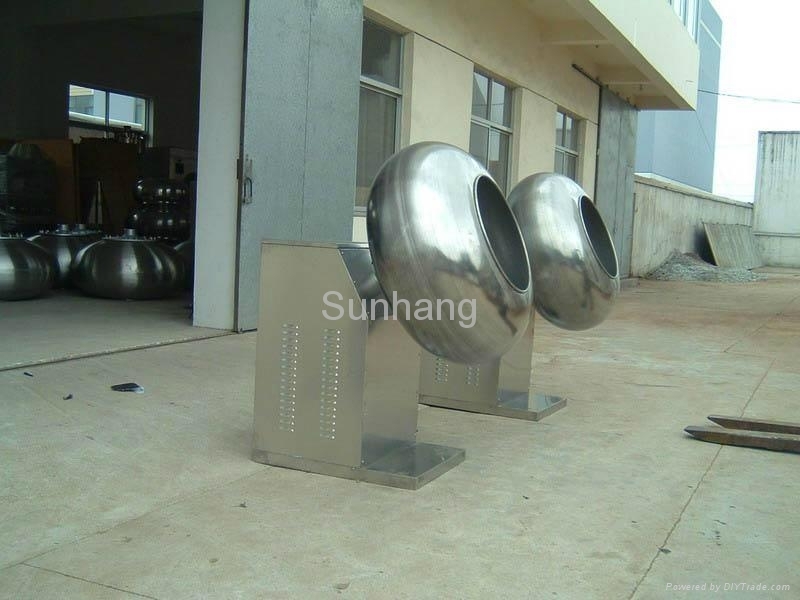 The adjustable ventilation tube installation should be equipped with the coating pan. 6. 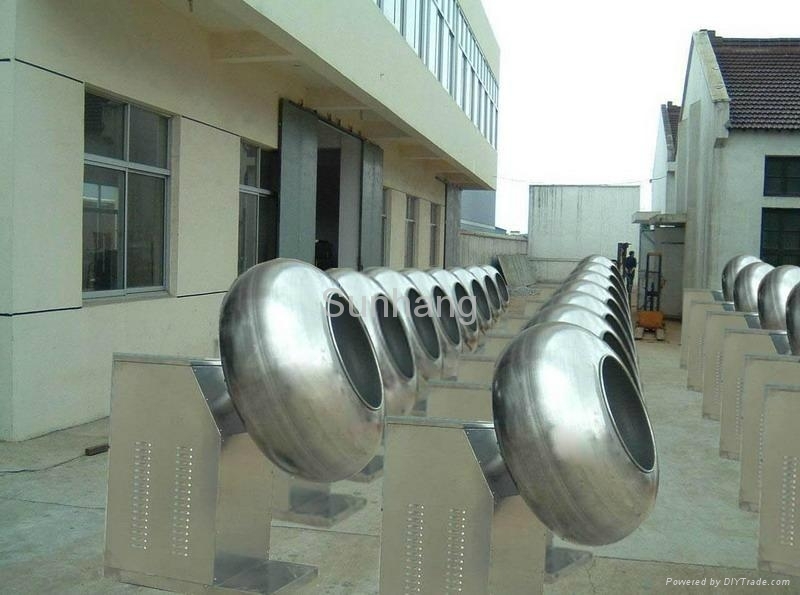 There is a series of circular ribs in the polishing pan, which is good for the flipping of product, reducing the polishing time. Chocolate coating device including: Agitator tank, automatic spray infusion device(including nozzle and feeder), coating machine, spray gun, heating equipment, main cooling trough, air temperature and humidity regulator, cool air pipeline loop device, etc. This machine has advantages of simple structure, easy operation, and smooth surface. It can save accessories and it is also easy to maintain. This machine is the ideal machine for tablet film sugar coating. 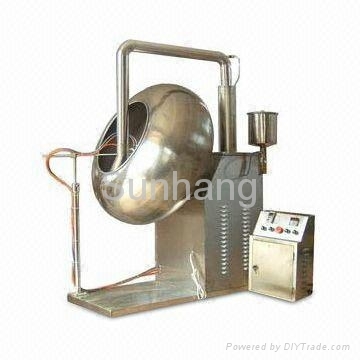 It is also the ideal machine for chocolate coating and others.